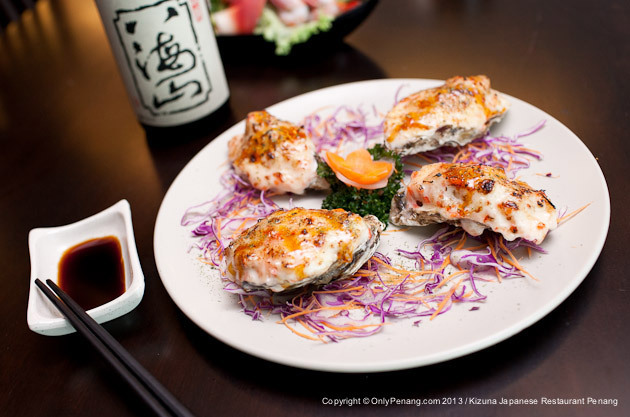 The Penang Japanese food restaurant that surprising me with the great taste of Japanese food such as grilled oyster, sashimi, salted grilled ayu fish, cod fish, beef tataki, grilled pork, sushi and more! 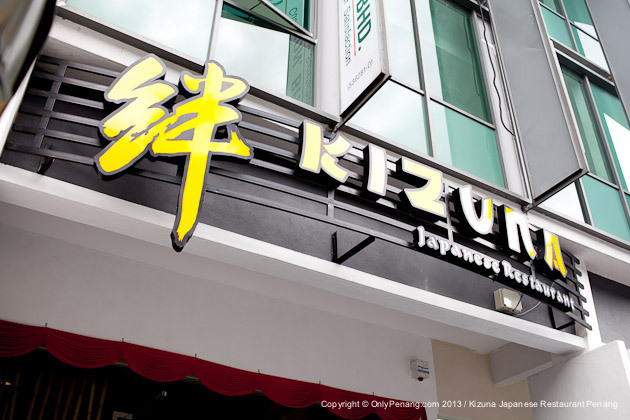 绊 Kizuna, a Japanese word meaning “bond” has attracted Malaysiafood to visit “Kizuna Japanese Restaurant” in Penang. 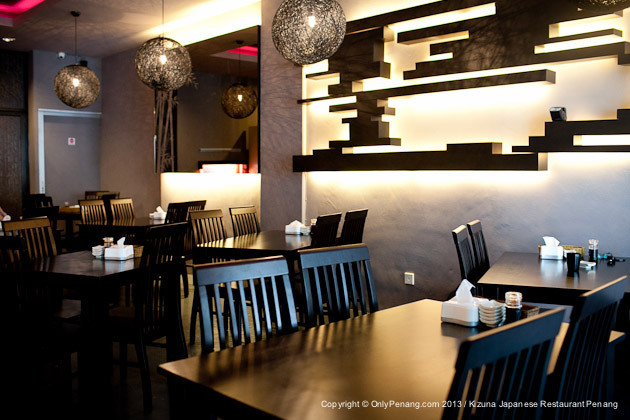 The restaurant has gone into operation not long ago in the beginning of year 2013. 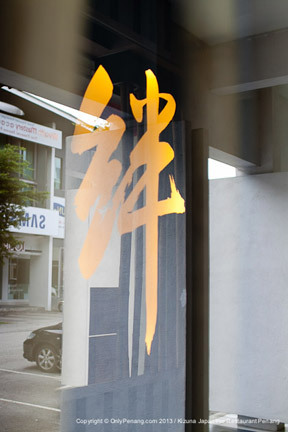 It is located at Bay Avenue, Bayan Lepas (Opposite Lollipot). 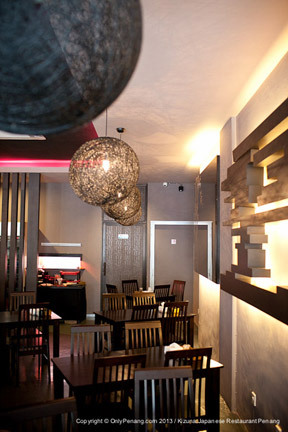 The Director, Kevin, has brought in the concept of the restaurant from United Kingdom. 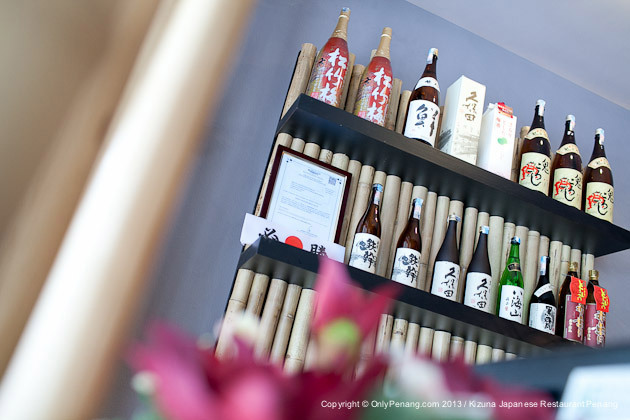 They are concerned about food quality, value for money and a unique mix of traditional and modern Japanese dining. 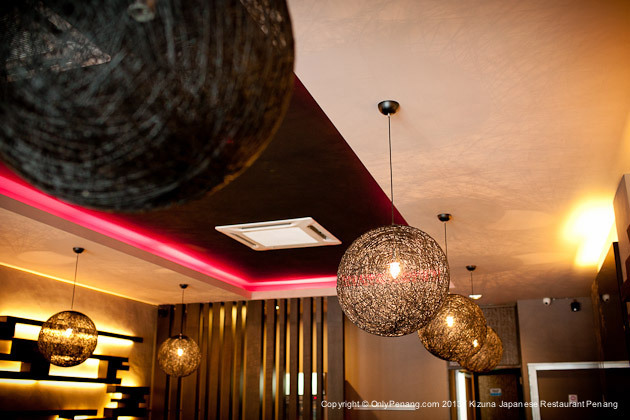 The environment is so nice and comfortable accompanied by soft yet entertaining Japanese music.We are proud to carry out the food tasting and review hosted by Kizuna friendly crew last week. 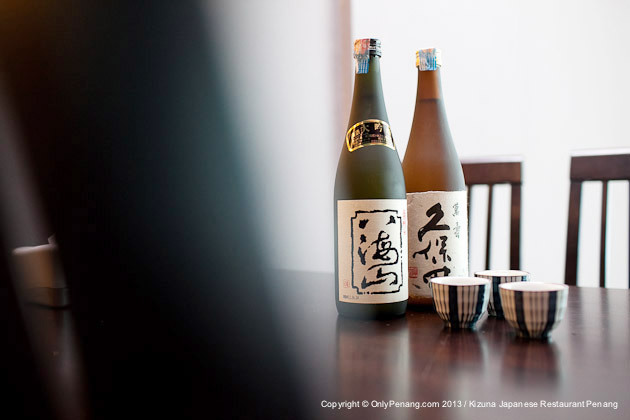 Kevin has shown us two of his favorite Sake. 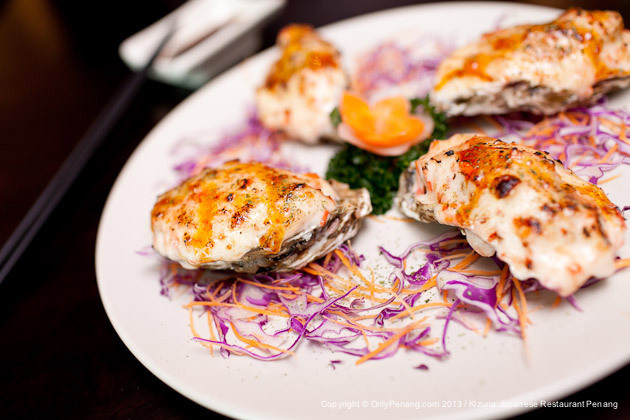 We started the review with “Yaki Kaki”, grilled oyster with cheese on top. 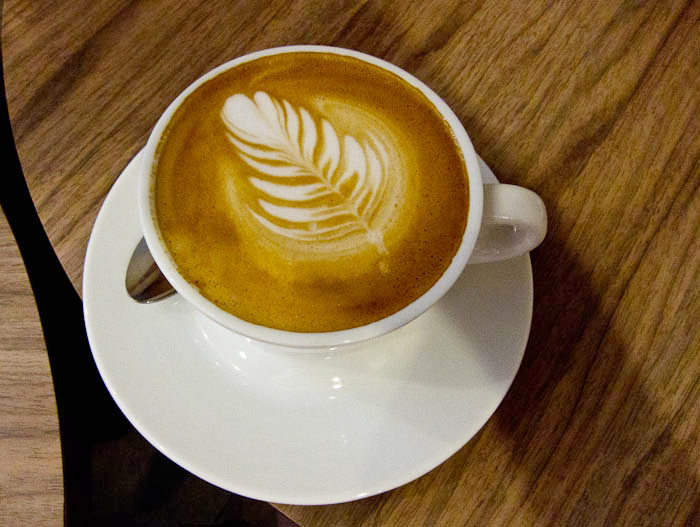 It taste very nice and best serve when it is hot. 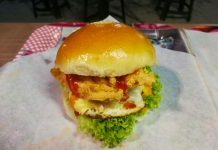 It is priced at RM7.90 per piece. 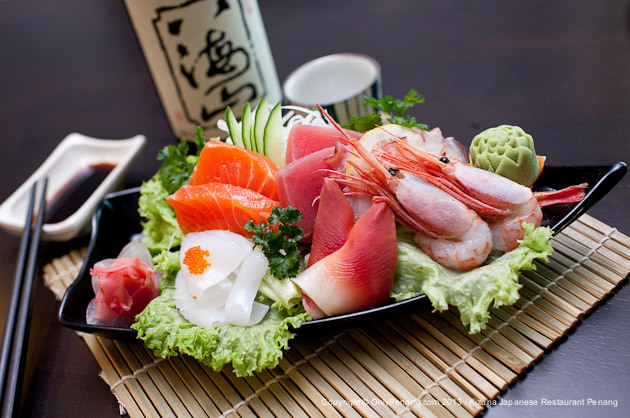 After that we continue with “Assorted Sashimi” which contains 6 types of sashimi. The most important thing for sashimi is fresh, and yes their sashimi is fresh and I like it so much! 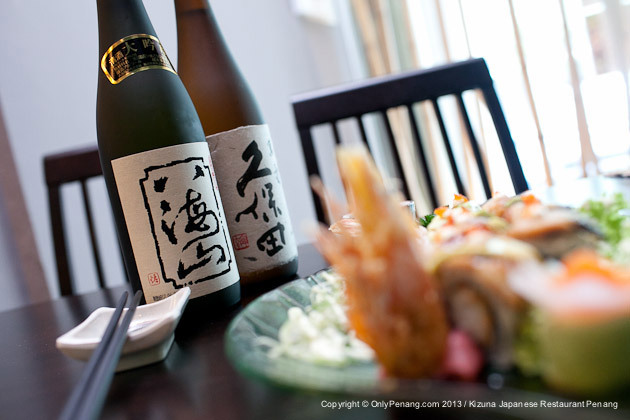 Especially serve together with the wasabi self-made by Kizuna Restaurant. Cost RM42. 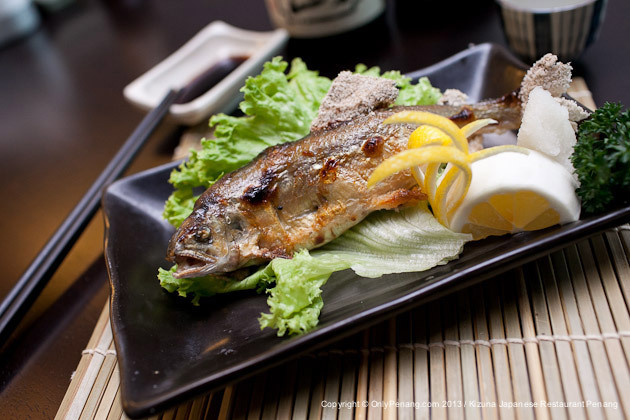 “Ayu Shioyaki”, is a salted grilled fish (“Ayu” or “Sweetfish”) which has almost become extinct. The texture of its meat is so different that I can’t help myself but to continue having my second and subsequent bites. 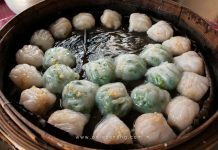 It is very rare and hard to find in Penang. 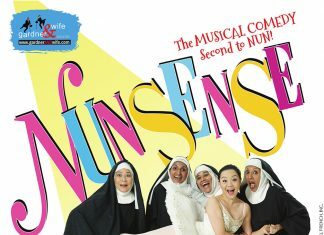 It costs only RM29. Cod fish. 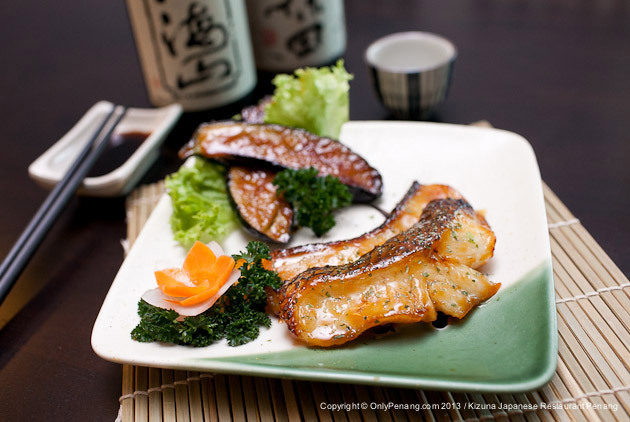 “Black Cod Misoyaki + Nasu Miso”, cod fish is prepared with special sauce made with Miso paste together with Japanese Eggplant (“Nasu”). It cost RM35 per set. 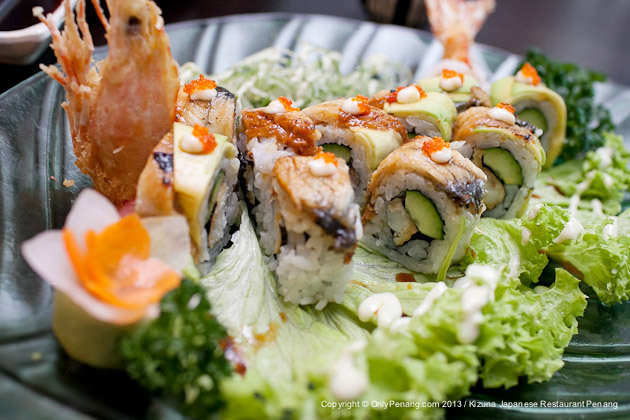 Something that you may not want to miss out in Kizuna Japanese Restaurant is “Dragon Maki” sushi at only RM22.90 per set. 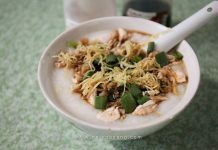 Its crispiness coupled with perfectly squeezed Japanese grain has made it so crunchy and mouth-watering; it will for sure “melt” in your mouth. 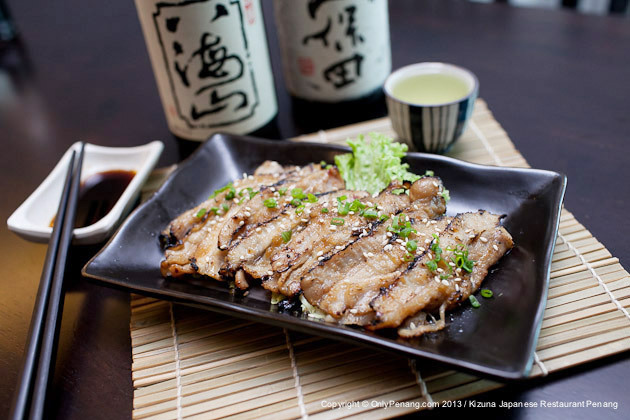 “Buta Amiyaki”, is a grilled pork which cost only RM17.90 per set. The thin slice of pork is perfectly-grilled at controlled heat, making it so tender and juicy when it is gradually chewed between upper and lower teeth. Normally sushi is served cold. 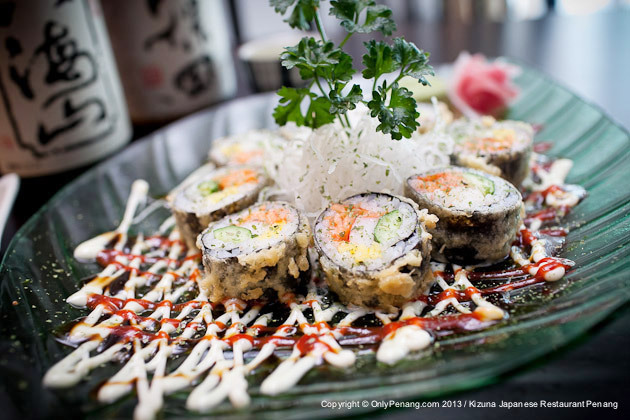 Have you ever tried “Hot sushi”? 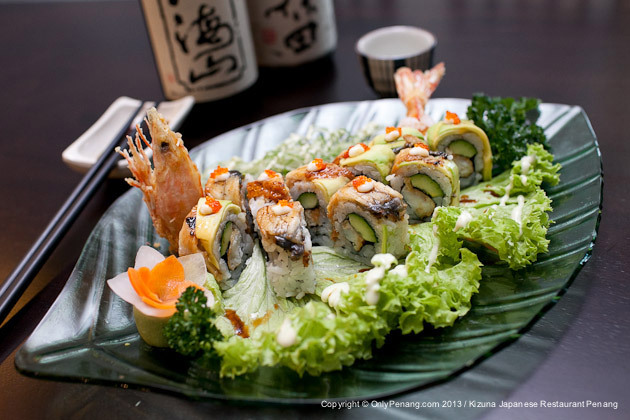 This special “Tempura Roll” sushi is carefully fried and you can see there is tempura around the sushi roll. It is best while it is served hot. 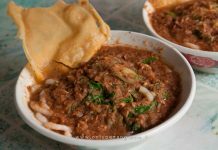 (RM19.90 per plate). 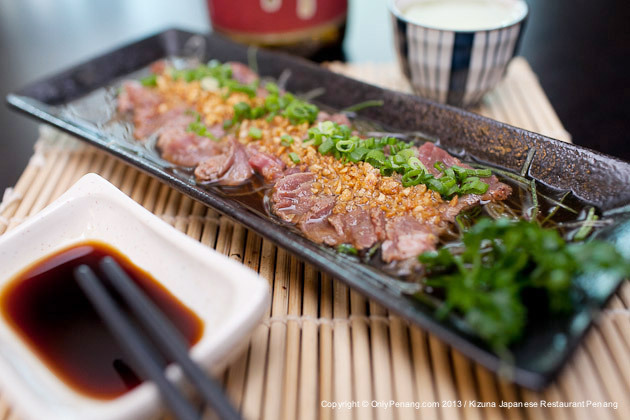 One of the famous and must-try dishes in Kizuna Restaurant is “Beef Tataki” where 90% raw, thin-sliced Sirloin Beef is served cold with lemonly-taste Ponzu sauce. It is highly recommended for beef lovers. According to Kevin, there are a lot of Japanese returning to the restaurant mainly for the Beef Tataki. Their first word after the first bite will always be “O-i-Shii” (same like Japan). It tastes a bit sour and juicy, awesome! RM26.90 per plate (Picture is only showing half portion). 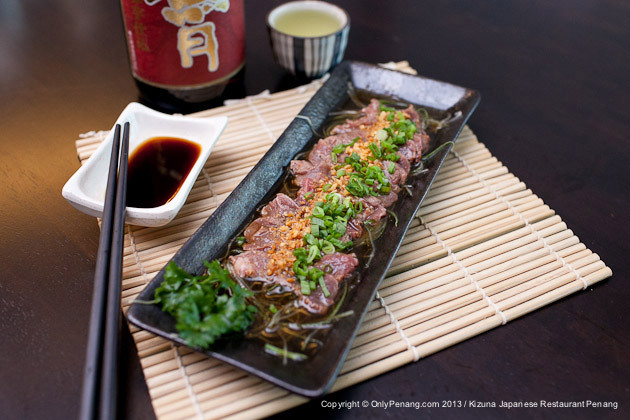 Kizuna Beef Tataki, 90% raw, thin-sliced Sirloin Beef is served cold with lemonly-taste Ponzu sauce. 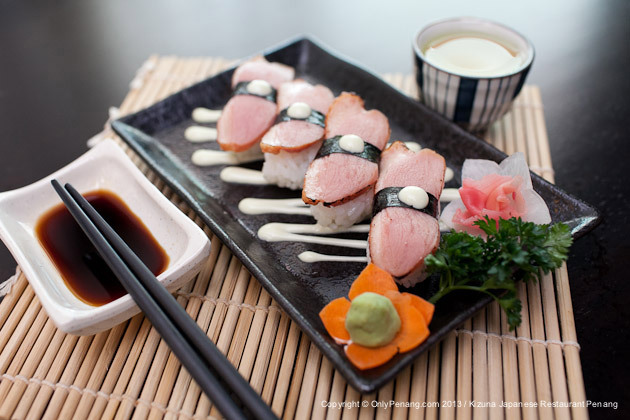 Last but not least, Kevin has prepared the new dish “Smoked Duck Sushi” which has not appeared in the menu yet. 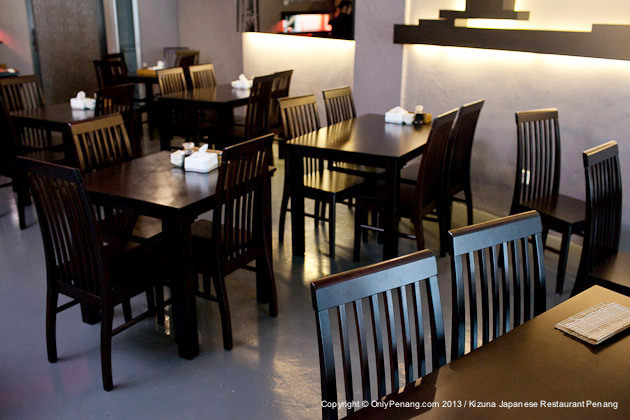 I believe it cannot be found in most Japanese Restaurant in Penang. It taste like smoked Salmon but it is chewy like duck meat. Nice! Check the new price at Kizuna now! Thanks to Kevin(Center) for hosting the review. 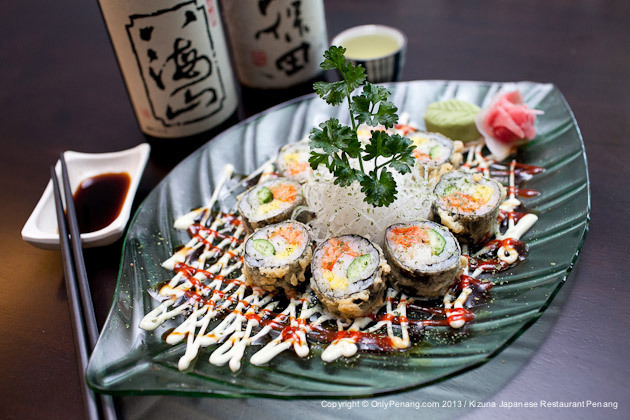 Perfect services and nice japanese food served! 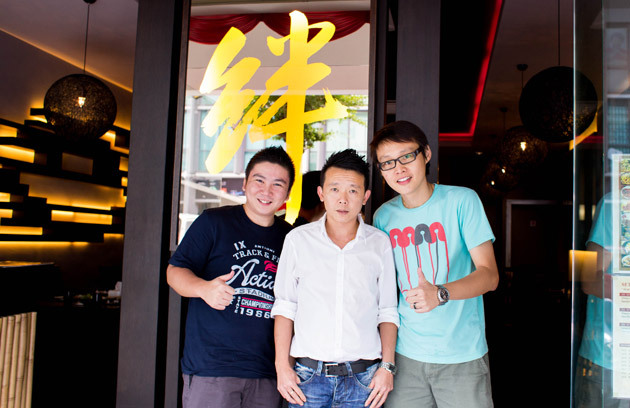 From the left, EkLim ( malaysiafood.my ), Kevin, and me. 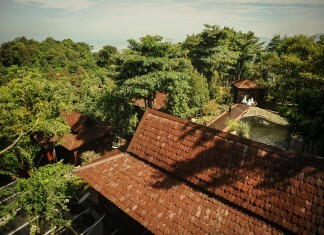 Bay Avenue, 11900 Bayan Lepas, Penang. 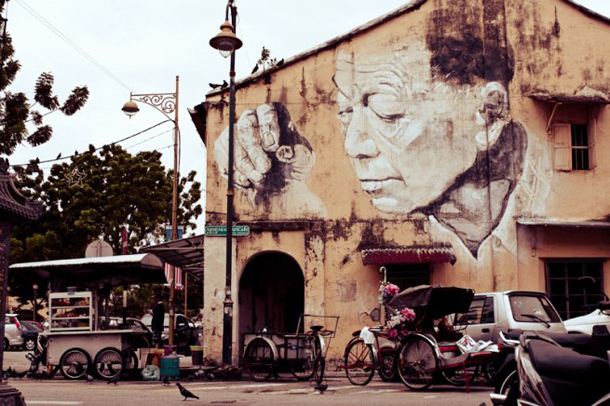 We love Penang! 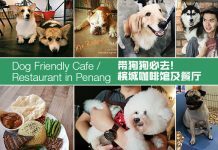 Onlypenang.com, an open source travel guide to Penang, featuring up-to-date information on Penang events, Penang attractions, Penang food, Penang hotels, travel destinations, Penang map, weather forecast, activities, news and updates, accommodation packages. 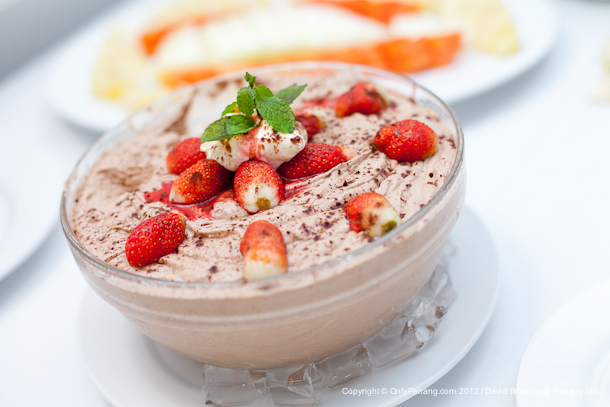 Feel free to invite us for review or write us latest news that happening in Penang! 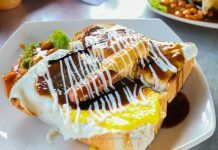 Delicious Kepala Batas Roti Bakar! 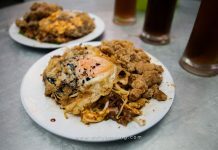 Penang Char Koay Teow with Duck Egg! 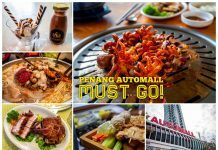 Penang International Cuisine in Automall! 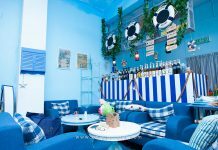 Great Butterworth Western Restaurant @ By The Sea! 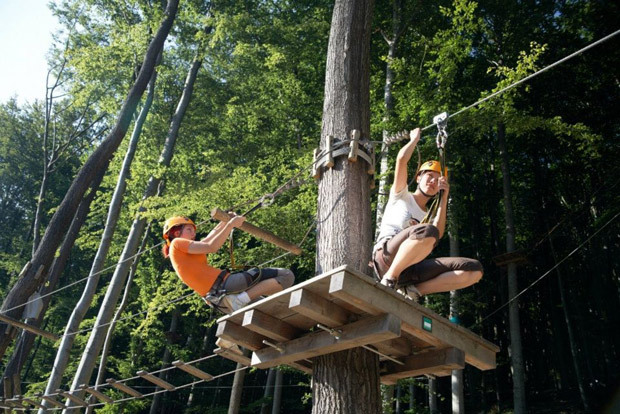 Penang Water Theme Park by ESCAPE is Here!